Equal Pay Day is the day that represents how far into the next year that a woman must work in order to earn what a man of equal work earned by the end of the previous year. On average women earn 77 cents for every one dollar that a man earns. No working woman is exempt from making less than her male counterpart, even women lawyers according to a recent study by the American Bar Association and other independent studies. Some people fault women for the pay gap citing the career choices that women choose causes them to earn less money. That argument doesn’t hold muster when it comes to women lawyers. According to the U.S. Census Bureau, women’s salaries are outpaced by men almost everywhere from the highest paying occupations to the lowest paying occupations. Everywhere from doctors and lawyers to cashiers and lesser positions, women earn less than their male counterparts. 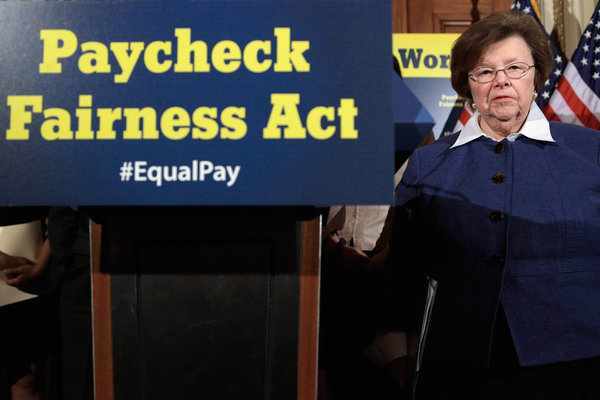 While some people think that the gender pay gap is a myth, all the reports from the American Association of University Women (“AAUW”), the U.S. Census Bureau to the American Bar Association and others cannot be all wrong. For lawyers, the pay gap starts right out of law school and continues even as women advance up the ladder to become equity law partners at the nation’s largest law firms. Women lawyers cannot even count on their law firms to be fair in paying them the same as male lawyers. A Commission on Women Lawyers report by the American Bar Association found that of 200 largest law firms, women equity partners earned 89% of what their male counterparts earned. And other women lawyers earn 86.6% of what male lawyers earn based on a weekly basis. Money matters and means as much to women as men. In the law firm setting, it means power, success, appreciation and value to the firm. Where women partners are doing the same work as partners, it should be reflected in their compensation package. Pay inequities for women lead to a variety of issues in the law firm setting, including dissatisfaction for women law partners and associates. Gender bias limits a firm’s ability to maintain some women partners and associates. In the firm practice of law, many women choose to either suffer the inequity or leave the firm. Many women lawyers are not willing to risk their career by suing their firms. Leaving the firm is a better option for discontent women lawyers. Women lawyers deserve to be paid the same as their equal male partners and associates. And for many women with less education and earning power than women lawyers, they are really caught between a rock and a hard place. Even women coming out of college are making less money than their male counterparts—yes right out of college. By seven years, it is growing even wider. As reported before, women of color are hardest hit by earning the least amount of money overall. African American women earn 64 cents to the dollar of what men earn. And Hispanic women make only 55 cents. Overall white women earn 77 cents to the dollar of what a man earns. Unfortunately, one thing that all women share equally regardless of race, ethnicity, education, job or income, is the ability to earn less money than their male counterparts. To learn more about the disparity in pay gap for women, go to AAUW’s recent report on the wage gap. AAUW’s recent wage gap analysis, The Simple Truth about the Gender Pay Gap, is featured on fightforfairpay.org. The Simple Truth breaks down the gender pay gap by state, race/ethnicity, education, and age. See where you fit in the pay gap equation. This entry was posted on Thursday, April 4th, 2013 at 3:52 pm. You can follow any responses to this entry through the RSS 2.0 feed. You can skip to the end and leave a response. Pinging is currently not allowed.